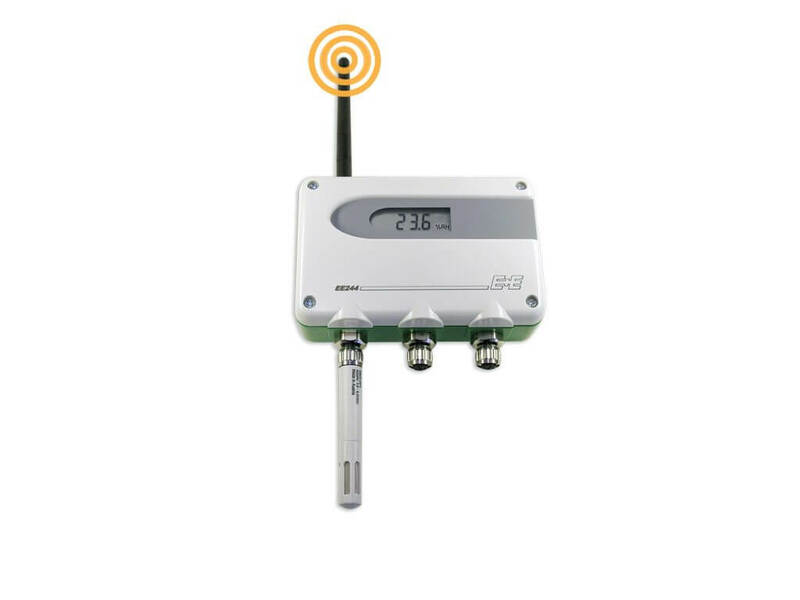 The EE244 modular wireless transmitter is based on the IEEE 802.15.4 protocol with a transmission frequency of 2.4 GHz and measures up to three physical quantities: relative humidity, temperature and CO2. 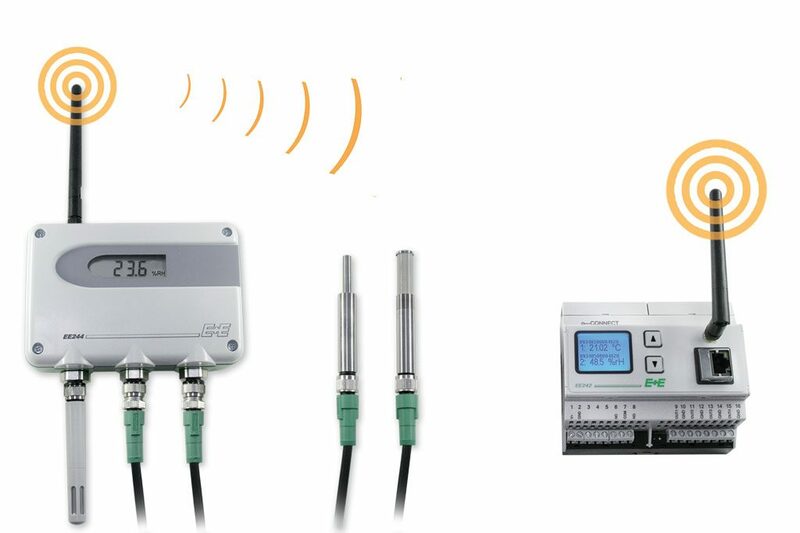 It accomodates up to 3 sensing probes, which can be plugger directly onto the EE244 basic unit or with a connection cable up to 10m long. 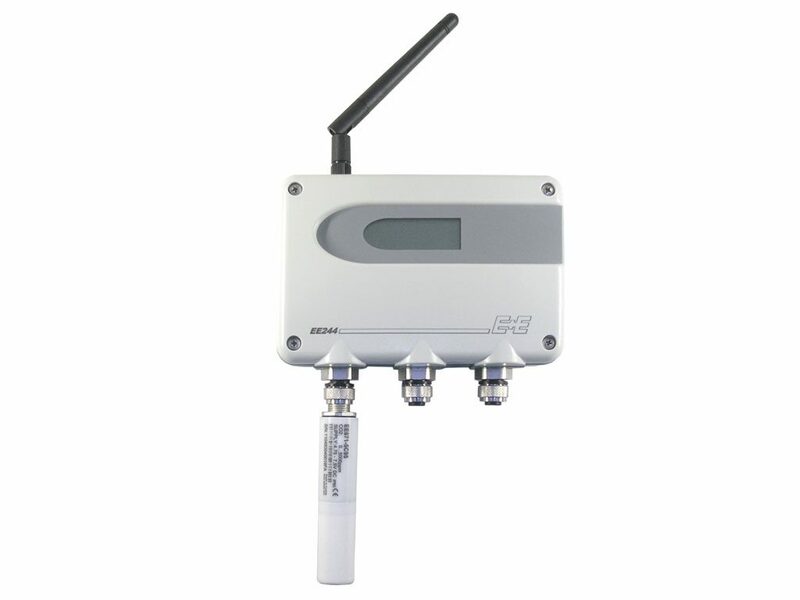 The robust enclosure features an external antenna and an optional display. EE244 wireless transmitter is powered by four alkaline AA batteries, but can also be connected to an external power supply. Depending on the number of probes, the physical quantities measured, and the sampling and transmission rate, the batteries may last up to 3 years.